Stolen personal documents when traveling abroad! What now? ArticlesStolen personal documents when traveling abroad! What now? Travel abroad - the most common lucky luck in New Year's Eve, the most emotional and precisely organized event I always plan to the last detail. Behind all the enjoyment, however, lies one of the possible mistakes, for which only a moment of inattention can be quite sufficient. I do not find my personal card. My international passport is not in place. Where was my driver's license? A trip abroad with stolen documents. 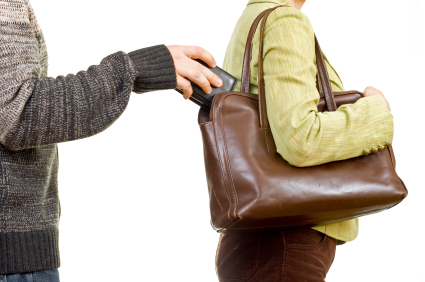 When traveling abroad and being a victim of theft, institutions come to the aid. As a citizen of an EU country, I can trust the fast-handling systems in such cases. In case of theft, I must immediately notify the nearest police office personally and in writing and ask for a copy of the record of the case. It is possible that the lost document was handed over by a conscientious citizen to the law enforcement authorities and, after the necessary checks, the documents were returned to me by a police officer. I have lost my personal documents, I have three days to contact the nearest consulate or embassy of the Republic of Bulgaria. It is necessary to initially orally notify the diplomatic or consular representations. This can happen online or over the phone. A detailed list of all Bulgarian embassies, permanent representations and diplomatic offices abroad - here. If my documents are stolen outside the EU, where Bulgaria has no consulate or embassy, ​​I have the right to seek consular protection from any other EU member country in the vicinity. Important! Even if I get permission to leave the territory of a particular country without a valid travel document, that does not guarantee that its absence will not be a problem at the border of the neighboring country. Therefore, reporting a theft and further cooperation with diplomatic or consular representations can help me to get home without problems. As an EU citizen, I have the right to ask for assistance in every diplomatic mission of the Union. The temporary passport to be issued to me shall be valid for up to 12 months. I sought the help of the relevant institutions. What are the requirements I have to meet? I file an application in a standard form. In the automated information system, the consular assistants enter the personal data I have filled in, information about the attached documents; my digital signature and face captured with digital sessions. How long does it take? The Ministry of the Interior takes an opinion on the case of the issue of my temporary document or identity papers. Within 3 working days, it is obliged via the Ministry of Foreign Affairs to inform the consulate in which I filed my application for my decision on the case. The amount for issuing a temporary passport is 50 euros and the issue of a temporary travel document for a citizen of the European Union is 20 euros. Obtaining an application form for the issue of Bulgarian personal documents will cost me 1 euro. Detailed information on visa fees - here. Attention! If my personal documents are forcibly taken away for reasons beyond my control, such as theft or robbery, the law exempts me from the passport for the issue of a temporary passport. The condition - I present as proof the documents issued to me by the competent authorities of the host state. Exceptionally, in some countries like Germany, France, Italy, the United Kingdom, etc., and only if I do not have any other documents or copies of them, I can identify myself with two witnesses Bulgarian citizens with valid personal documents who, on the spot at the consular post, fill out declarations as my guarantors. If, for any reason, I am arrested by local authorities for lack of documents or no lack of offenses, I have the right to request contact with the Embassy of the Republic of Bulgaria or the nearest embassy of an EU Member State. The consular officer is obliged to contact me as soon as possible. He can cooperate with me in providing a translator, a lawyer, etc. Stolen personal documents when traveling abroad! What now? Stolen personal documents when traveling abroad! What now?